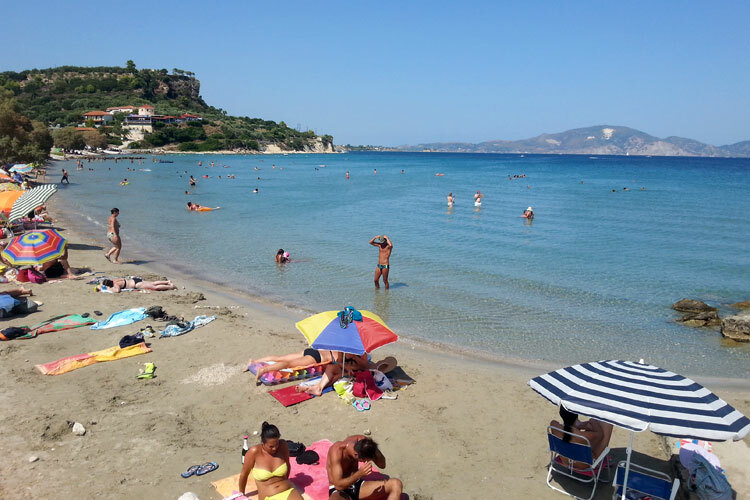 It is characterized by the small lovely beach of pebbles, shaded by some cluster pines and surrounded by many local taverns that especially at night gave the bay a peculiar atmosphere. If at the crossroad before Limni Kerì you will take the road on the right that goes up and in a few minutes you will reach the mountains village of Kerì. This small lovely village characterized by small streets and ancient houses close to the “kafenion” of the main square, conveys the idea of a simple life in a place where time seems to have stopped. There is a small but lovely beach expanding for the whole length of the town with some restaurants and shops for the tourists. Behind the shore there is a row of trees that creates natural shadow on part of the beach. The beach is of pebbles but as soon as you enter into the water you can feel sand under your feet. 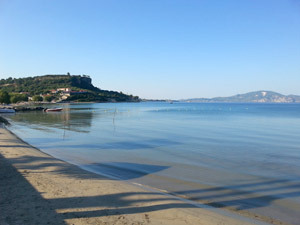 Limni Kerì is connected to Zakynthos by bus but, for of the long distance, there are only two runs per day and in the weekend there are no buses at all. 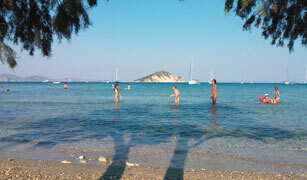 It is anyway possible to rent cars, motorbikes or bicycles to move around the island. 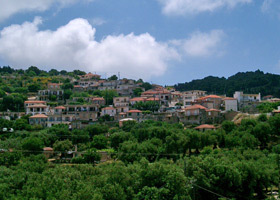 On the other hand there are no services at all connecting Zakynthos or Limni Kerì to Kerì village in the mountains. From Limni Kerì is possible to rent a boat to reach Marathonissi or to visit the caves of Marathia Cape. At Limni Kerì there are only a few shops but for every sort of need and very well supplied: souvenirs shops, bakeries, supermarkets and greengrocers. At night in this enchanting village the life is very quiet, you can choose where to dine among the different taverns on the seaside offering local dishes. There are just a couple of pubs with a background music to allow the tourist to talk and relax. Limni Kerì is a town of small dimensions offering some lodging solution such as apartments and studios of every sorts. There are very nice residence area offering rooms to let that are very well kept and into the nature. There are few hotels and a few kilometres before the town a camping site. At Kerì in the mountains it is more difficult to find a place where to spend the night but not impossible; as a matter of facts there are new residence areas and luxury hotels with swimming pools.